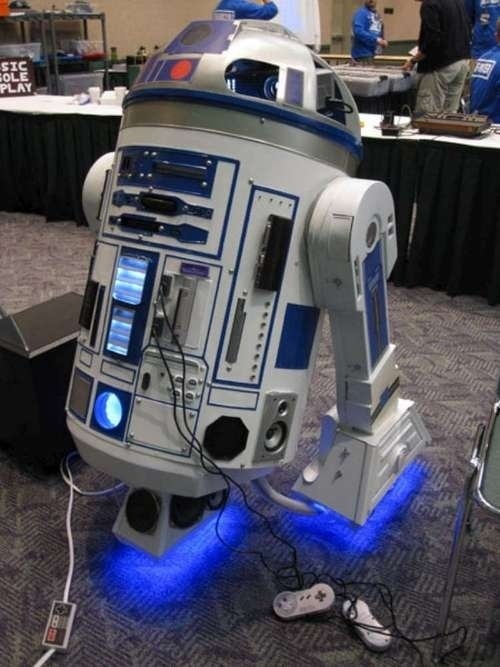 An R2D2 with 10 consoles? no problem! 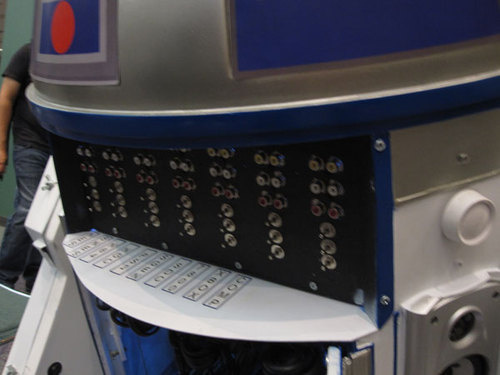 The R2D2 includes an Nintendo Entertainment System, a Super Nintendo Entertainment System, A Nintendo 64, a Nintendo GameCube, a Playstation 2, a Sega Genesis, a Sega Dreamcast, an Atari 1800, an Xbox and a computer. It also has a projector so you can actually play the games, and a bazillion input ports, switches and vents. The best part? 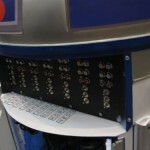 Let’s say R2 gets patted down and someone guts all of his console. No worries, he’s also packing a Playstation Portable tucked away in a hidden compartment in a shoulder.